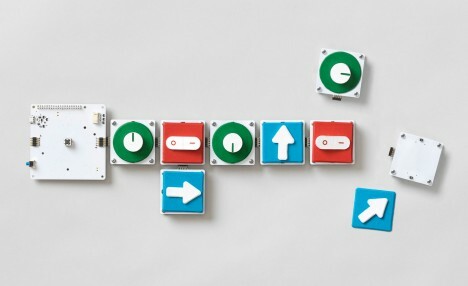 An open-ended educational project at the intersection of gaming and computer science education, Project Bloks is an open hardware platform anyone can use to teach coding to children. 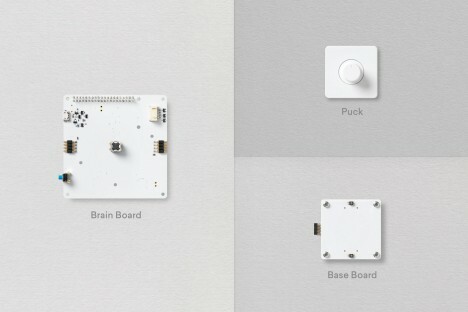 Project Bloks is made of three core components: the “Brain Board,” “Base Boards” and “Pucks.” The Brain Board houses the main processing unit and is built on top of a Raspberry Pi Zero, providing power and connectivity. It can communicate via WiFi and Bluetooth. The Base Boards create grids or different programming flows, and feature capacitive sensors. The Pucks are essentially code instructions in physical form, including dials and switches, arrows and bottoms. They turn things on and off, up or down. These are cheap, requiring no active electronic components. See more in Art of Tech or under Technology. August, 2016.